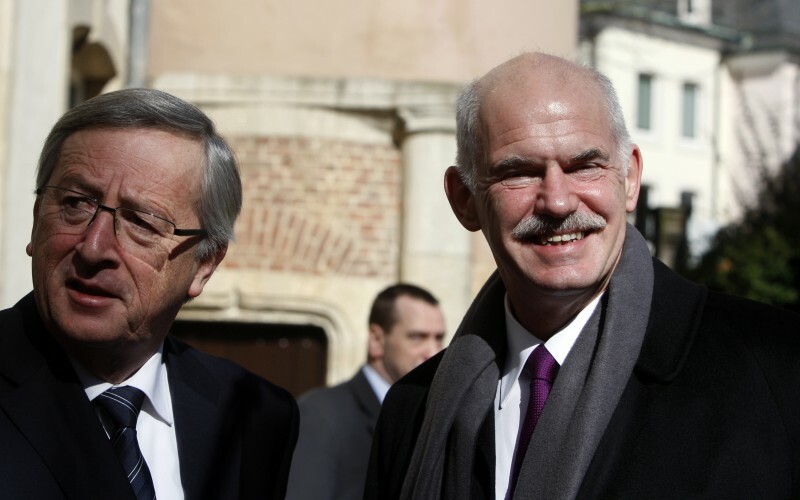 Before yesterday’s European Council meeting, the European press were predicting that the Franco-German agreement made in Deauville might as well have been made in “never-never land”. Member states will resist and President Sarkozy and Chancellor Merkel will stand “isolated”, they said. And even as late as this week, UK-based EU observers were in the news repeating that a new EU treaty is virtually impossible, only a year after the Lisbon Tretay entered into force. Open Europe has argued for months that Merkel means business in her drive for Treaty change - and that she could achieve it if she puts down her foot (the exposure of German taxpayers to sub-prime eurozone loans is one clue, the need to address potential challenges in the German Federal Court is another). And sure enough, today the German press is buzzing. FT Deutschland’s headline reads, “Merkel wins at Euro-Poker”. Die Welt writes, “Merkel asserts her will in Brussels”. Spiegel chimes in with, “Europe comes up against the Iron Chancellor”. In a commentary in Handelsblatt Thomas Ludwig writes that, “Merkel and the German government held their nerve at summit negotiations and ultimately had the better argument on their side”. He also congratulates the German Chancellor for “being hardheaded” and said it will “pay off for the eurozone in the long-term”. Handelsblatt also reports that Merkel advocated the suspension of voting rights for members who flout budget rules purely “for tactical reasons”. In reality, her primary aim was to push for a permanent crisis mechanism for the eurozone, which most member states have agreed is the best way forward. In other words, she established an outlier for member states to reject, pavign way for a deal on what she really wanted. Merkel just gave her EU colleagues a lesson in how to get things done in Europe - is Whitehall taking note? So not a fan of the limited EU budget increase then? "I deplore this initiative. This letter is provocative and has clearly been written for reasons of domestic policy." - The caretaker Prime Minister of Belgium, Yves Leterme, in response to the letter signed by Cameron, Merkel, Sarkozy et. al. backing a 2.9% increase to the 2011 EU budget. Has Cameron underplayed the UK's hand in Europe? Over at Conservative Home, we examine how David Cameron is getting on in Brussels - the performance so far is a mixed bag, but there's a clear risk that he has underplayed the UK's hand in the negotiations. Meanwhile, German media praises Angela Merkel's "poker skills". She has now achieved backing from EU leaders, in principle at least, for changing the Treaty in order to introduce a permanent crisis mechanism for the eurozone. 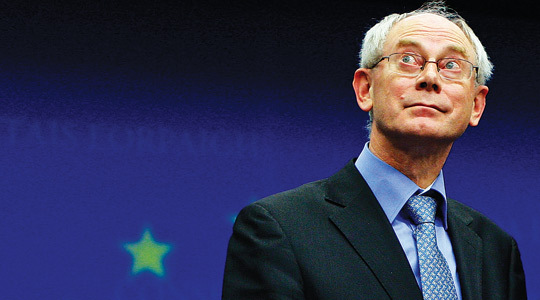 European Council President, Herman Van Rompuy, presented his imaginatively titled new book yesterday - "Inside the world of Herman Van Rompuy" to a Brussels audience with bated breath. "I don't speak here as a politician but as a free man. I don't have any voters. And I also prefer readers to voters". Remember, this is the president of an organisation consisting of 27 democratic countries - full of voters! Now, what does this say about the mindset at the top of the EU? And will this comment make European taxpayers feel better about handing over billions extra (including between £450 mn and £900 mn from UK taxpayers in 2011 alone) to an organisation whose head apparently "has no voters"? Cameron gives way on new treaty for 2.9% budget increase? Die Welt is reporting that Cameron has done a deal with Merkel on treaty change. The article notes that Merkel signed a letter penned by Cameron stating that the Council would not accept a budget increase higher than 2.9% in negotiations with the European Parliament. In return, Cameron will back Merkel's demand for a treaty change, reportedly assuring Merkel that he will secure the passage of a new treaty through the UK Parliament without a referendum. As we argued earlier today, even if Cameron were to achieve a freeze to the EU budget, there’s nothing stopping MEPs and other member states from pushing through a substantial increase in 2012 or 2013 to make up for it. If the reports are true, Cameron may well have severely underplayed the UK's hand, missing the opportunity to get real concessions in return for treaty change. A one-year 2.9% budget increase certainly doesn't cut it. The publication of our annual list of examples of EU waste seems to have become a much-anticipated occasion in Brussels. As L'Express reports today, an internal document prepared by EU Tax Commissioner Algirdas Semeta reveals that the Commission expects us to "publish a list of 'absurd' EU projects" on the eve of the publication of the EU Court of Auditors' annual report, due for 9 November. The Commission is reportedly investing extra energy in preparing its defence. Over at the Spectator's Coffee House blog, we take a look at how David Cameron should approach today and tomorrow's EU summit - and how he should play his cards in negotiations in Europe moving forward. The British media woke up this week, realising that Europe still exists. As David Cameron travels to Brussels, questions loom over what, exactly, he can achieve in Europe – at this summit, and more importantly, moving forward. Much of the commentary surrounding the summit has focussed on the increase to the EU’s 2011 budget, which Cameron is fighting. And for good reason. It’s insane that Britain – or any other net contributing state – should be forced to accept any increase to the EU budget, at a time of tough austerity at home. Cameron has spent considerable time talking up the negotiations on the budget increase, so he may have an ace up his sleeve to achieve a cash freeze tomorrow or in the coming weeks. But a 2.9% hike is not unlikely, meaning that an extra £430 million would be added to UK taxpayers EU bill – or even more once the European Parliament has had its greedy hands on it. However, as outrageous as it is, the annual budget increase is only a side show in a far bigger act. Even if he were to achieve a freeze to the EU budget, there’s nothing stopping MEPs and other member states from pushing through a substantial increase in 2012 or 2013 to make up for it. The EU budget is negotiated in seven-year periods (though that can vary), with minor adjustments being made on an annual basis. Sadly, negotiations over this budget period have already been lost – courtesy of Tony Blair in 2005. So the bigger prize – which may or may not be discussed in corridors at the summit – is clearly a reduction in the size of the budget from 2014 onwards. Cameron has rightly stated that this is his priority moving forward. But here Cameron could be committing a strategic mistake. The temptation is to try to ask for concessions on the post-21014 EU budget, in return for supporting Merkel’s repeated calls for a Treaty change to fix the eurozone. Thing is, the UK already has a veto over the negotiations on the post-2014 budget. If the UK refuses to agree, an effective cash freeze will be achieved anyway as the previous budget will be carried over. Secondly, member states are desperate to get rid of the UK’s rebate from the EU budget – in itself a powerful bargaining chip. So if Cameron trades budget concessions for Treaty change, he will effectively be giving his EU partners two for the price of one. A better way forward for Cameron is to horse trade on the EU budget and possible Treaty change separately. Despite strong opposition from EU leaders, German Chancellor Angela Merkel continues to push for a Treaty change to fix the eurozone. And she won’t cave in easily. As we’ve argued before, Cameron should back Merkel’s calls for Treaty change in return for repatriating powers to Britain. It Treaty change actually materialises, the whole package can then be put to a public vote in a genuine referendum on EU reform. Many Tory backbenchers are now picking up on this idea as well. Cameron and Merkel will meet on Saturday night over dinner to discuss the way forward for the EU. The Prime Minister must think carefully about how to use the unusually fluid European situation to put Britain’s relationship with the EU on a more sustainable path. The scope for a new Anglo-German grand bargain is greater than in a long-time. But for Cameron to give away his hand this early would be a serious mistake. German Chancellor Angela Merkel is a tough cookie. Sandwiched between Deauville and tomorrow's EU Summit, Dr. Merkel took to the podium today to defend the controversial pact with President Sarkozy on economic governance in the eurozone that has left both German politicans and EU leaders incensed (but in different ways). Addressing the Bundestag this afternoon, a firm Merkel said both President Sarkozy and herself will relentlessly insist on a "culture of stability" at tomorrow's European Council summit. 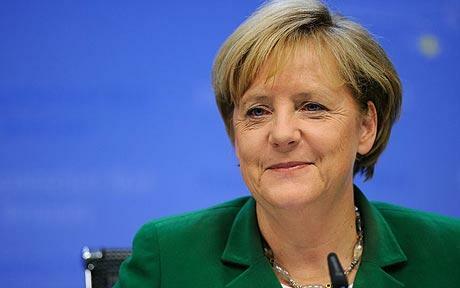 She stressed the necessity of taking "precautions today for dealing with future crises" in the eurozone. success will only come with a change to the treaty...improvement is always possible, even if the road is rocky. Presumably responding to Luxembourgish Foreign Minister Asselborn's and others' sneer that Europe does not work with only a "two-stroke engine", the German chancellor said, "the Franco-German union is not everything in the EU, but, without a German and French union, it is not much." Following the infamous quarrel over the Roma deportations, EU Justice Commissioner Viviane Reding isn't exactly the French government's préférée. 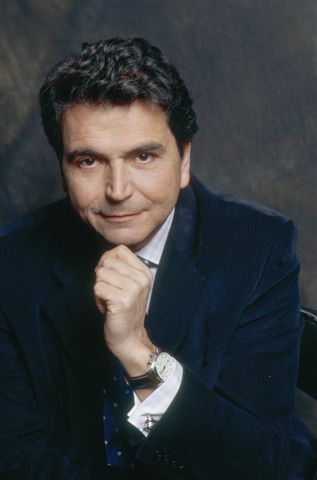 But, it seems, there is one person in Paris who really can't stand the Commissioner: French Europe Minister Pierre Lellouche. The two are now at it again. This time the disagreement concerns the Franco-German proposal to change the Lisbon Treaty to allow struggling eurozone countries to default. It seems to me completely irresponsible to put on the table these chimeras on new Treaties. Decisions [in the EU] are not taken in Deauville [the small village in Lower Normandy where Merkel and Sarkozy agreed on treaty change last week], but at 27 and by unanimity. France and Germany are the two countries who scuttled the first version of the Stability and Growth Pact in 2004 and 2005. The euro has undergone a severe crisis since, but it seems like someone has not yet drawn the lesson [...] We must stop destroying what the EU institutions propose. When you are a European Commissioner, and moreover a Vice-President of the Commission, is it conceivable that you call the President of the French Republic and the Chancellor of the Federal Republic of Germany 'irresponsible'? Frankly, the words used by this Commissioner [he avoids calling Ms. Reding by name, like Sarkozy did during his row with Barroso last month] to denigrate the Franco-German proposals are unacceptable. They are cut from the same cloth as the insulting tone - which I will not forget - used against France during the polemic she herself used on the Roma question. The news in today's Guardian and Mail is that David Cameron is thinking of doing a deal on the proposed new EU treaty. The reports suggest that Cameron will back the new treaty in return for his demands for a cash freeze to the 2011 budget. We're not convinced that Treaty-change-for-less-cash is a line that the Government will pursue in the end. But if true, Cameron and his Government risk a mutiny not only from the Tory backbenches but the public at large. And it would be completely justified. The prospect of a new treaty is rightly seen (and not just by us) as a once in a generation opportunity to renegotiate the UK's relationship with the EU and actually repatriate some of the powers the Conservatives promised they would less than a year ago, or pursue a number of other reforms - for example giving real powers over EU policy to national parliaments. A one-year cash freeze on the EU budget simply doesn't cut it. Sure, the European Parliament's demands for a 6 percent increase are outrageous and have understandably attracted the headlines recently. But what about 2012 and 2013? There is nothing stopping MEPs, the Commission or even other member states demanding similar increases in these years and there would be little the UK could do about it. And even the next EU budget period, the the one that starts in 2014, is best negotiated seperately. The UK already has its rebate as leverage in those negotiations. Making horse-trades involving Treaty changes is giving EU partners a 'two for the price of one' deal. But besides this practical reason, the prospect of yet another 'behind closed doors' EU deal could be politically disastrous. After promising to repatriate powers, Cameron cannot shirk the first, and possibly only, realistic opportunity to do so. It would certainly make his accusations of "betrayal", levelled at Labour and the Lib Dems for their backtracking on a referendum on Lisbon, look pretty hypocritical. The past week has seen the EU come under immense pressure, from press and politicians from across member states, as negotiations for 2011's budget come to a head. However, criticisms have seemed to fall on deaf ears, as the Commission and the European Parliament have continued to push for an overall 5.9% increase in spending. We released a new report yesterday examining one of the growth areas that provokes serious cause for concern: EU agencies and committees. While the UK government has announced that it wants to scrap some 190 quangos as part of the spending cuts, the Commission - cheered on by MEPs - has proposed a staggering 8% increase to the budget for EU agencies from 2010 levels. This would see the EU's annual quango-budget rise by €180mn to €2.4 billion in 2011. The extra cash would be used to fund five new agencies, taking the total number of EU quangos - including the Economic and Social Committee and the Committe of the Regions which are the mothers of all talking shops - to 52. Extra cash will also be sprayed on the existing EU agencies. And what do taxpayers get in return? It's Brussels worst kept secret that many of the EU's agencies do not add much value: some duplicate eachother's work; many duplicate work being carried out by the core EU institutions; some deal with issues that shouldn't concern the EU in the first place; while others have no impact on actual policy whatsoever. A worrying number of them tick all of these boxes. It's also not clear who these agencies are actually accountable to. 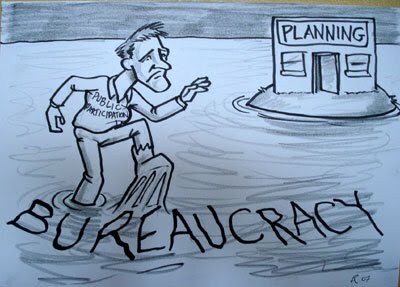 We identify eleven agencies and committees which could be downsized or abolished altogether without citizens noticing any difference whatsoever. If combined with 30% efficiency savings, to mirror austerity measures in member states, the EU could save €709mn per year starting in 2011. First on the list: the Committee of the Regions and the Economic and Social Committee. Hats off to the House of Commons. Earlier today it grasped the nettle and employed the Lisbon Treaty's 'yellow card' procedure for the first time (if nine national parliaments object to a proposal from the Commission on 'subsidiarity' grounds, within an eight-week window, the Commission is obliged to re-consider - but not scrap - the proposal). The House of Lords was slightly quicker off the blocks, using the procedure last week to object to the EU's proposed directive on seasonal workers from third countries. The Commons provided a "reasoned opinion" on the proposal to amend the so-called Investor Compensation Schemes Directive, objecting to it on subsidiarity grounds. As we've argued before, this proposal raises various concerns, as under the proposed rules member states would be required to lend to each other should a bank go bust and deposits needed to be guaranteed. As the Swedish Parliament argued, this presents a 'moral hazard' since some member states might be tempted to under-fund their scheme, knowing that someone else would pick up the final bill. The House of Commons joined its counterparts in Sweden, Germany and Austria in objecting to the proposal. Only problem is, the deadline for objecting to the proposal expires today. Eight weeks doesn't exactly give national parliaments plenty of time to mobilise, particularly when, as it did now, it coincides with parliamentary recess in most European countries (almost as if it was planned). We confess to not being up to speed with how many national parliaments actually managed to formally object to the proposal in the end - but will be back shortly with an update. Regardless, it's good to see MPs taking responsibility. The excellent WSJ Real Time Brussels blog notes that EU Budget Commissioner Janusz Lewandowski isn't entirely happy with the amount of money that potentially can be lent to struggling governments, using the EU budget as a guarantee. Mr. Lewandowski told a group of journalists: "That is worrying me...[the EU must] be realistic about the budget as a guarantee." In case of danger, he said, "we should be very watchful" about the maturities of the various pieces of debt issued to countries. So what exactly is the Big Lewandowski on about? Well, besides the €440 billion eurozone bailout package, which does not include the UK and is guaranteed by eurozone governments, the EU also agreed in May to a separate €60 billion fund. This fund is to be raised by the Commission on the markets, and then lent to eurozone countries in trouble, using the EU budget as collateral. The loans would therefore be guaranteed by all member states, including the UK, since all member states pay into the budget. Added to the pre-existing fund for non-eurozone members, which totals €50bn, the EU budget can therefore potentially be used as a guarantee for €110bn in loans. And given the state of the economies on the receiving end, these loans can only be described as sub-prime (with some exceptions). The size of the EU budget is roughly €123 billion euros this year (set to rise by €7 billion if MEPs get their way), so should countries max out these bailout funds, the bloc's debts could reach 89% of its equity (the EU budget). Ironically, the Stability and Growth Pact stipulates that no EU country is allowed to have a debt higher than 60% of GDP. We know it's not the same thing, but Lewandowski is certainly making a good point. €110 billion is actually massive exposure. In addition, isn't this potentially causing the EU - as in the legal entity not individual countries - to break the very same rules that the Commission now wants to beef up? But then again, on leverage as well as fiscal prudence, the EU isn't exactly known for leading by example. Sacrificed at the altar of the Franco-German axis? As we've noted before, Germany's attitude to the EU and the famous Franco-German alliance is changing (plug: we will be organising a debate in Berlin next Tuesday on that very topic). Take German liberal MEP Silvana Koch-Mehrin (photo) for example. She is a vice-President of the European Parliament and has been called the 'European face' of the German liberals - the junior partners in Angela Merkel's coalition government. Strong words from someone who certainly can't be described as a eurosceptic. European Parliament starting to get embarrased about asking for more money? We've said a thing or two in the past about the wonders of EU spin 'communication'. But the European Parliament's attempted defence of MEPs' decision to increase the EU's 2011 budget by 5.9% is a stretch so far that it has descended into farce. Firstly, let's take the EP's press release titled, "MEPs vote for moderate budget for 2011". "Moderate" is hardly the word to describe a 5.9% increase when national governments all across Europe are tightening their belts and, in the UK, George Osborne is announcing the most significant spending cuts for generations. The press release goes on to say "MEPs understand the pressures on Member States' budgets and have therefore broken with their tradition of suggesting a notably larger budget than the Commission has proposed." Strange too that the press release didn't mention the percentage increase to payments (5.9%), instead opting for the increase to commitments of 0.8%. An earlier April press release has no such qualms about mentioning the higher figure. To add insult to injury, EP President Jerzy Buzek has stated that "The European Parliament has acted with a great sense of responsibility." MEPs are certainly doing themselves no favours whatsoever. How should the UK government respond to EU Treaty change? Rather than instinctively reaching for the veto, David Cameron should back Merkel’s demands, in return for the repatriation of powers to the UK, along the lines of the original Tory election manifesto. This package could then, possibly, be put to a public vote, and be turned into a genuine referendum on EU reform. The net effect of a new EU treaty would then be fewer powers for Brussels and more for Westminster. Do Germany's leaders really think that they can force through this time round a "narrow" Treaty change which gives them enough of what they want by way of financial protection and does not open up all sorts of other clamorous demands? Or do they know that that is more or less impossible, hence they are pushing for Treaty changes as part of a wider agenda aimed at deliberately prompting a manageable (they hope) mini-crisis which will allow them to redefine the way the European Union works, but on (mainly) German terms? If that means wielding a fierce Teutonic axe on many beloved EU schemes and letting other countries squeal, so be it. What, I wonder, is the government in London making all this? In principle this situation represents a huge opportunity for cynical but pragmatic British influence aimed at forcing out great quantities of EU rubbish -- and cutting the bill to British taxpayers. Question is, have the Coalition folks put on their thinking caps? As we anticipated in our previous post, it appears as if Germany has won French backing for a change to the EU treaties in return for greater flexibility on sanctions for eurozone countries which run excessive deficits. Introduce political sanctions for rule-breakers, including the temporary withdrawal of voting rights within the Council. The taboo of another round of Treaty change negotiations has now officially been broken. This is potentially huge - and throws up a number of interesting questions for eurozone and non-eurozone countries alike, not least the UK. While hundreds of journalists from all over Europe descended on Luxembourg, hoping to find out what the future of EU economic governance holds, the real decisions were taken in Deauville - a small village in Lower Normandy where Nicolas Sarkozy and Angela Merkel have held security talks with Russian President Dimitri Medvedev. After that, however, sanctions will kick in and be automatic (a concession to Germany). According to Merkel and Sarko, the Council should also be given the power to impose "preventive" sanctions, but these are to be decided by majority voting on a case-by-case basis. We suspect that the bulk of this statement will be copied in the conclusions of Van Rompuy's task force on eurozone economic governance (if that group ever comes up with some conclusions that is). As the Economist's Charlemagne points out, by agreeing to delay the sanctions for eurozone countries for six months, Germany has caved in to French demands in no small manner. Hawkish countries like the Netherlands and Finland now feel betrayed by Berlin. But this volte-face could also have awarded Germany a bigger price: France's support for a treaty change to introduce an "orderly insolvency procedure" for cash-stripped eurozone countries. As we've noted over and over again - German calls for a Treaty change to fix the eurozone are real, not mere rethoric. It is hard to think of a better example of how not to run a large-scale infrastructure project than the EU's Galileo satellite system. In a new briefing we set out the latest cost over-runs and delays to a project that is now expected to be completed a decade late and cost taxpayers over €22bn to launch and run over a 20 year period. In 2000, it was projected to cost taxpayers only €2.6bn (UK taxpayers' share has gone from £385 million, under the original estimates, to £2.95 billion, under the revised figures). This is an overspend which could rival with the previous UK government's handling of the defence budget for incompetence. The scale of the strategic mistakes made in Galileo's development is simply shocking. The German government has admitted that "All in all, it is assumed, based on the currently available estimates, that the operating costs will exceed direct revenues, even in the long term." 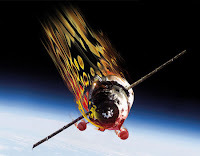 The reason for the astronomic rise in costs is primarily due to private investors withdrawing from the project, unconvinced by the project's commercial viability in a market where it is competing with US, Russian, Chinese and now also Indian and Japanese alternatives. Despite this, the European Commission saw a market of potentially 3 billion users and some €275 billion per year by 2020 worldwide. This looks ridicolously optimistic now. The story behind the Chinese competitor is particularly sobering. Initial Chinese investment in the project was spurned and eventually withdrawn over fears that the Chinese government was a little too interested in the security related aspects of the project. But, due to the delays, China went ahead with its own system using the very radio frequencies the EU wishes to use for Galileo. So the EU is now in the absurd position of having to ask China's permission to run its secure 'encrypted' signal on Chinese frequencies. With the European Commission's EU budget review expected tomorrow, we can expect the usual calls for more investment in research and development as a way of modernising and redirecting the EU budget. Spending less money on the CAP and Structural Funds would certainly be welcomed but, on this evidence, the EU's R&D spending leaves a lot to be desired. Conservative MEP Ashley Fox may have thought of a practical plan to reduce some of the ridiculous cost of the European Parliament's travelling circus from Brussels to Strasbourg each month. There have been many previous attempts to abolish this hugely wasteful-PR-disaster-of-a-practice before (it even made it into the Con-Lib Coalition Agreement). But, alas, it is written in the EU treaties that the EP will have its plenary sessions in Strasbourg - which would only change over Sarkozy's (or any other French President's) dead body. It is estimated that the exercise costs taxpayers around €200m a year and produces at least an extra 20,000 tonnes of carbon dioxide every year. But, unlike previous efforts, Fox's plan may actually work. Fox wants to combine the two Strasbourg plenary sessions scheduled for September 2012 into one, which he says, "could save €15m and prevent 1600 tonnes of CO2 being needlessly wasted." The European Parliament shall have its seat in Strasbourg where the 12 periods of monthly plenary sessions, including the budget session, shall be held. The periods of additional plenary sessions shall be held in Brussels. The committees of the European Parliament shall meet in Brussels. The General Secretariat of the European Parliament and its departments shall remain in Luxembourg. Combining, rather than scrapping, the extra plenary session wouldn't break the rule of having "12 monthly" sessions in Strasbourg. So far, 180 MEPs have signed his declaration which would require a simple majority of those present in the parliamentary chamber to be successful. This would only be a small victory for common sense but it would send an important message and show that many MEPs find the practice as absurd as the rest of us. I Want Your Money Back! EU institutions and member states are warming up for the negotiations on the post-2013 EU budget, which are just around the corner. French MEP Alain Lamassoure, who chairs the European Parliament's Committee on Budgets, said yesterday that national governments should avoid behaving "like 27 Baroness Thatcher around the table". Unfortunately, his own country isn't likely to take his advice. Last week, French Europe Minister Pierre Lellouche outlined France's negotiation position on the next EU budget period, due to start in 2014*. And it was pretty uncompromising and unrealistic stuff. Lellouche said that an increase in France's contribution to the EU budget "is not feasible" and that the austerity measures implemented by member states should be reflected by a reduction of spending at the EU level. So far, so good. But then he went on to say that Common Agricultural Policy funding "must be kept at current levels, especially in regards to direct payments". The same goes for cohesion policy, which "puts the EU in a shop window" and needs to be safeguarded. In terms of actual "cuts", Lellouche mentioned only one: the UK rebate. This has to be renegotiated he said, otherwise, "it would weigh a bit too much on France's contribution [to the EU budget]". And where, exactly, does he see the actual reductions meant to reflect austerity measures in member states? For the sake of accuracy, these are the exact words of French Europe Minister Pierre Lellouche during his hearing with the French Parliament's European Affairs Committee, based on the transcript available on the website of the Assemblée Nationale. “It is out of question that austerity only applies to member states and is not reflected by EU spending. The size of the EU budget must therefore be stabilised for the whole of the next financial framework”. “I would like to insist on a strong message: the EU must keep a strong Common Agricultural Policy […] The CAP budget must be preserved and, in particular, EU financing of direct aid [to farmers] must be kept”. A new briefing note by the useful German think tank Centre for European Policy looks at the EU's proposed Deposit Guarantee Schemes Directive. The directive is not just relevant as a test-case for the Lisbon Treaty's yellow card procedure (as we've discussed here), but potentially also constitutes another form of bailout (apart from these ones), effectively making taxpayers in one EU member state liable for the mistakes of foreign governments they can't democratically control. That is because member states would have to transfer money to another member state's Deposit Guarantee Scheme (DGS), if that scheme runs out of money. The proposed directive states that "a mutual borrowing facility allows a DGS in need to borrow from all other DGSs in the EU" (with some conditions attached: see here, article 10). The Swedish Riksdag, the first Parliament to vote to object to the proposal, already said this would create a moral hazard, as some countries could be tempted to under-fund their schemes, knowing that someone else would ultimately pick up the bill. So this could trigger large-scale money transfers accross member states, akin to outright bail-outs, again with the EU as facilitator. facilitates domino effects and thus leads to higher risks. Moreover, the financial responsibility for solvency crises should remain at national level, since it is mainly there that banking supervision is carried out – also after the establishment of the [EU] banking supervision authority. Also the FSA has warned that, in the interest of effectiveness, "Member States should be free to determine funding models". The German, Swedish (and probably Austrian) Parliaments are stirring up trouble about this. Will the UK Parliament follow? Eurogroup Chairman Jean-Claude Juncker has revealed Europe's worst kept secret on the sidelines of the last IMF and World Bank meetings in Washington. "It was obvious that one day Greece would have to face this kind of problems, and I knew that problems would arise because we - the French, the Germans, ECB President Trichet, the Commission and myself - had been discussing the perspectives of what was not at that time known as so-called Greek crisis". However, for reasons he didn't specify, EU leaders still decided to keep the whole thing quiet and hoped for a miracle. "The Greek crisis could have been avoided, but not starting last year, starting two or three decades ago". Hold on. So Mr. Juncker is suggesting that Greece's problems existed well before the country was allowed to enter the eurozone in 2001? What a shocker! In truth, the Luxembourgian is not the first one to "confess" that Greece didn't really qualify to join the single currency. Over the last few months, former European Commission President Romano Prodi, Greek Prime Minister George Papandreou and EU Commissioner for Trade Karel de Gucht have all admitted that Greece was literally "allowed to cheat" on its accounts in order to comply with the Maastricht criteria and therefore join the euro. The consequences are well known. Really, shouldn't these politicans be held to account? For quite some time, we have tried to highlight how the EU's new financial supervisors could eventually take on too much power for comfort - not least when viewed from the City of London. The European Securities and Markets Authority, in particular, looks set to become a force to be reckoned with. As we argued in our recent report on the subject, this is a bit peculiar since most of the commentary - such as the de Larosière report or the Turner review - which precipitated the creation of the new supervisors, related to cross-border supervision of large retail banks. Over the last couple of weeks, negotiations over the AIFM Directive seem to be moving in the direction of giving ESMA powers, possibly exclusive, to supervise hedge funds and other types of funds based outside the EU and decide whether these should be granted EU-wide market access (a so-called passport). In other words, ESMA could become the sole 'gatekeeper' deciding who has the right to enter the EU market. This is no small power. The UK could possibly accept such far-reaching powers for ESMA in return for keeping the passport provision in the AIFM Directive - a provision which the French don't like at all but that is popular with the industry. From the City's point of view, the problem with this arrangement is that market access for the many funds which operate in the City but are domiciled elsewhere (i.e. Cayman or the US) could be decided in a forum where the UK has the exact same voting strength as Malta or Slovakia, as most decisions within ESMA will be taken by simple majority voting, meaning one country, one vote. The lack of safeguards in this voting arrangement could lead to this issue being hijacked by narrow commercial or political interests - or protectionist forces. "Restricting this power to ESMA alone sparks concerns about protectionism. Keeping the state-level door open would also ensure that if ESMA proves inefficient, hedge funds can go directly to national bodies." Quite right. The negotiations are now entering the final stretch - a break-through could even come today. The UK must resist calls to give ESMA exclusive powers over market access. The discussion about Treaty change, that is. As we've noted before, Germany continues to push for treaty change to allow for a permanent crisis resolution mechanism/orderly default procedure in the eurozone. Unable to stomach the prospect of another round of ad hoc bailouts in a few years time, which exposes its taxpayers to yet more unacceptable risks, Germany will next month publish the details of its proposal. The German government might seek to insert the new provisions into the Croation Accession Treaty, set for 2012. The FT has more. Now, the question that we've posed before is: does the German drive for a Treaty change constitute a threat or an opportunity for the UK's coalition government? It certainly isn't uncomplicated, but we would tend argue for the latter as any Treaty change at the level of all 27 member states would give the UK the leverage (i.e. 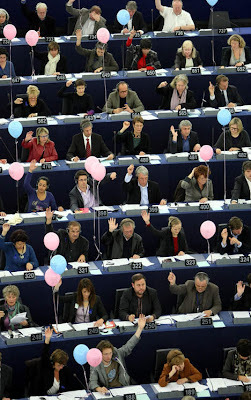 a veto) it has lacked ever since it signed up to the Lisbon Treaty. Although we suspect that this isn't the prevailing thinking in Coalition circles at this point, it would be very foolish for the Coalition not to explore possibilities to get something in return for allowing the eurozone to restructure. A crude knee-jerk proposal before the European Parliament to call a moratorium on all deepwater oil drilling has been rejected thanks to an amendment by Scottish Conservative MEP Struan Stevenson. The parliament's environment committee had proposed a full moratorium following the Gulf of Mexico incident. However, Mr Stevenson had pointed out that the UK has a two-decades old history of safety despite 315 deepwater wells having been drilled since 1974. Fair enough, this would have been a ridiculous proposal if adopted, but what the press release doesn't say is that this is all purely theoretical - MEPs have no power to do anything of the sort! As the EP's press release states this was a purely "non-legislative resolution", which would have had no real impact whatsoever. The EP frequently passes these types of resolutions on the latest 'hot topic', irrespective of whether it has any powers to act or even influence the debate. They are mostly a waste of time and therefore taxpayers money. We would suggest that in future Conservative MEPs and their media teams spend more time reminding other MEPs of what they’re actually there to do rather than playing along with the game of pretending to be more important than they are. We've looked at this issue before, but the Swedish Parliament, the Riksdag, yesterday supported its finance committee in protesting against the Commission's proposed amendments to the Deposit Guarantee Schemes Directive, which would oblige member states to transfer money to another member state's deposit scheme, if that scheme had run out of money. The Riksdag said this would create a moral hazard, as some countries could be tempted to under-fund their schemes, knowing that someone else would ultimately pick up the bill. The German Bundesrat has also objected to the proposal and today the lower house in Germany, the Bundestag, will give its opinion on whether it will formally object to the amended Directive. This is the first time that national parliaments have tried to use their new 'powers' entailed in the Lisbon Treaty. The Treaty gives parliaments the right to oblige the Commission to re-consider - but not scrap - a proposal, if a third of national parliaments object to the proposed legislation on subsidiarity grounds, within an eight week window. As even Andrew Duff - the liberal MEP who has been a staunch defender of the Lisbon Treaty - has admitted, the Lisbon provision on national parliaments was never intended to be used in practice as it's very difficult to get nine parliaments to debate and then object to a piece of legislation within such a narrow time period as eight weeks. And the task of getting nine parliaments on board looks very tricky indeed. The deadline for national parliaments to object to the Deposit Guarantee Schemes Directive is 25 October, and according to the "Interparliamentary EU information Exchange" so far only six parliaments have even begun scrutinising the proposal. Typically, the eight week period comes smack in the middle of parliamentary recesses in most countries, making the task even more difficult (although the Commission generously discounted August from the period). It's hard not to see this provision as mere illusionary democracy, which the EU elite inserted into the Lisbon Treaty to be able to make the case that 'everyone wins'. But still, it's good that national parliaments are giving it a shot. Surely, the UK Parliament should object too, given that the reservations concern moral hazard, transfer of funds between member states and subsidiarity? Which Coalition is tougher on EU: NL or UK? 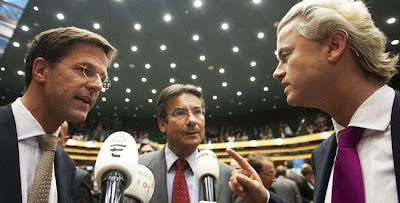 The Dutch Liberals and Christian Democrats yesterday presented their proposal for a coalition agreement, allowing the two parties to form a minority government (supported in parliament by Geert Wilders' uber-populist PVV party). The agreement still needs to be approved by the Christian Democrat's party congress tomorrow, but it sheds some light on how people (and their elected representatives) in one of the founding member states have started to think about the European Union. In fact, the Europe section of the agreement - see here and here - bears striking resemblances to the coalition pact agreed a few months ago in the UK. European spending, policy development and transfer of competences to the European level cannot happen unhindered...With the Lisbon treaty...the limits for transfers of national competences to the EU have been reached. In the existing context the EU should function in an optimal way and at the service of the citizen. The attention should primarily go to fiscal soberness, promoting economic growth, improving legal and security cooperation and make external policy more effective. 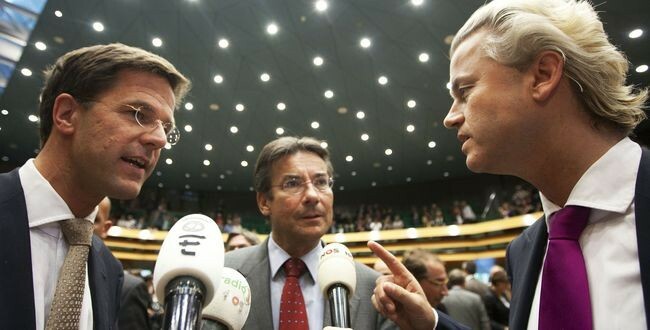 So just like the British government, the Dutch one promises no more transfer of powers. Incidentally, this could amount to another "obstacle" for German demands for Treaty change in addition to those already possibly existing in Ireland (legal referendum requirement) and Austria (political referendum requirement). Although a Treaty change to introduce a state insolvency procedure may actually win broad support as taxpayers in the Netherlands could stand to gain, and it could make the eurozone fairer. Reform of the EU budget is necessary, meaning that the contributions by the member states need to become more balanced and more transparent. The cabinet will make an effort for a substantial reduction in Dutch contributions to the EU in the negotiations on the upcoming financial perspective. In fact, incoming PM Mark Rutte has said that the coalition will demand a €1 billion reduction in the country’s yearly €7 billion contribution to the EU budget, in addition to keeping its current €1 billion rebate from the budget in place. Similar position to the British, although this looks like an even tougher negotiation stance than that of the UK coalition at this point. Where national policy is limited by legal borders, the Netherlands will make an effort within the EU or any other context to change treaties, directives or other agreements. The cabinet will take initiatives to adapt EU directives and if there appears to be no alternatives for important measures, in consultation with other member states it will seek to modify the Treaties. The focus on immigration laws (and an implicit swipe at enlargement earlier in the document) could well reflect the murky influence Wilders will now have over Dutch politics. But it's interesting to note that the Dutch coalition agreement - similarly to pre-election Tory pledges - include the desire to re-negotiate existing laws and powers, including possibly Treaty changes. Also here, the Dutch Coalition agreement seems to go further than its British counterpart. All in all, the Dutch coalition agreement strikes us as more 'radical' than the Tory-Lib Dem one - who would have thought that a few months ago? Today's gloomy revelations from Ireland were followed by rather disturbing news from the Greek parliament. As part of a long-standing tradition to let tax evaders off the hook every three to four years, Greece’s parliament has rushed through a law which will allow the government to collect about €2bn in taxes over two years. Only problem is that the outstanding amount of unpaid taxes in Greece is roughly €35bn, which effectively means that its granting millions of citizens a tax amnesty. The European Commission and the IMF aren't happy - as it's the first time, since Greece went on the dole, that the country has ignored their recommendations for conditional cuts and reforms. Firstly, it's a perfect illustration of how fundamentally unfair the eurozone bailout is. Greece has already tapped some €29 billion from the eurozone rescue fund, effectively transferring liabilities to taxpayers in other countries - not least German ones. And yet it is now letting its own taxpayers get away with not paying in roughly that same amount in taxes. Is this really right? Secondly, Greece's tax culture is absolute madness (for just how mad, check out this article by Michael Lewis, if you haven't already done so). That the system needs reform is the understatement of the century, but at the same time, how many painful changes (perceived or real) can Greek citizens bear at once without popular opinion completely blowing up? The government can only go against its own people so much - which illustrates the limitations of external, non-elected pressures for reform. But, at the same time, if Greece doesn't raise taxes, how will it be able to pay off its debts? Revenues to the Greek state increased by only 3.4 per cent in the first eight months of this year against a target of 13.7 per cent, despite two increases in VAT this year and three in excise duties. The Greek government wants to raise money quickly and move on - and says that the new law will do that - but in order to pay off its massive debt, it needs to raise taxes properly. This includes making it less burdensome for people to actually pay the taxes and providing incentives for people not to cheat. Tax amnesties do the exact opposite. The contradictions between these three points (and we're sure the list can be made much longer) also illustrates the fundamental contradictions within the eurozone itself. The scary thing is that there's no obvious way out - it's high time to consider an orderly default procedure for struggling eurozone countries.